Despite all our advances, access to clean water is still a major problem – not just for developing nations, but here in the US, where water shortages during natural disasters can cost lives. Scientists have created a cost-effective technology that addresses this problem using hydrogels. Using ambient solar energy, these gel-polymer hybrid materials can produce clean water from any source – including salt water from the Dead Sea. A team led by Guihua Yu at the University of Texas Austin created a hydrogel that is both hydrophilic and semiconducting. “We have essentially rewritten the entire approach to conventional solar water evaporation,” Yu said. The system works by creating water vapor under sunlight and then pumping the vapor into a condenser to deliver the freshwater. It also filters out contaminants that are harmful when consumed. 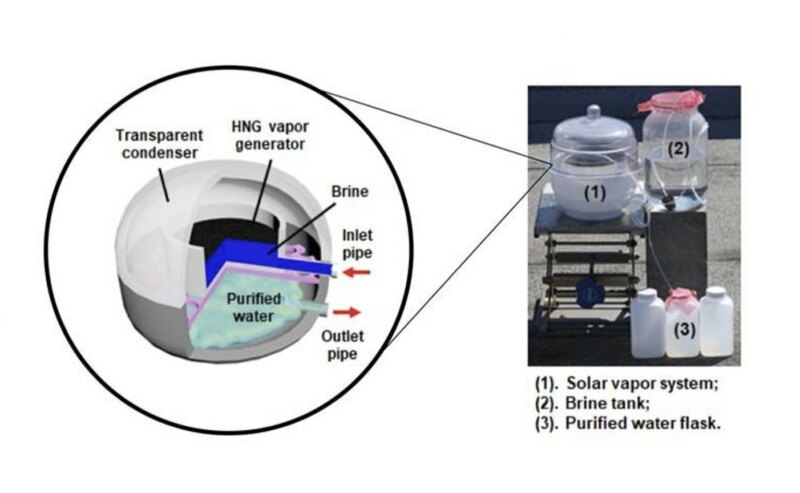 The hydrogel-based solar vapor generator can desalinate water much more affordably than current options using much less power. “Water desalination through distillation is a common method for mass production of freshwater. However, current distillation technologies, such as multi-stage flash and multi-effect distillation, require significant infrastructures and are quite energy-intensive,” said Fei Zhao, a researcher involved in the project. Tests produced 25 liters of water per square meter – plenty for disaster-stricken areas or household use.